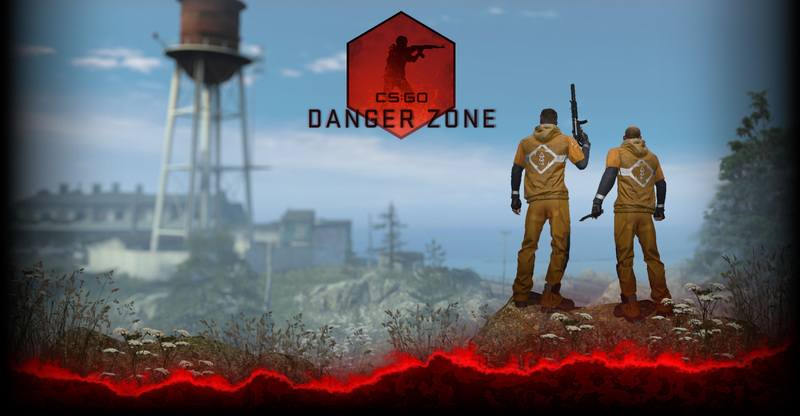 Next week, the top CS:GO teams will meet in Katowice to battle for their share of a $250,000 prize pool, and all viewers have a chance to receive souvenir packages to commemorate the event. To be eligible for a souvenir package, all you have to do is watch matches in-game via GOTV on the main-menu WATCH tab, or watch your favorite Twitch stream with a linked account. 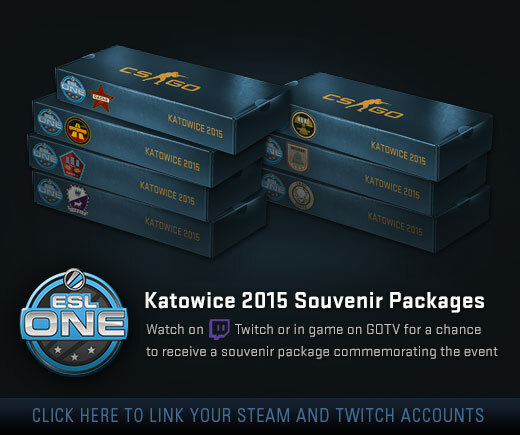 If you’re at the live event, can use the official ESL Katowice app to have a chance to receive a souvenir. Are you heading to Poland for ESL One Katowice 2015? 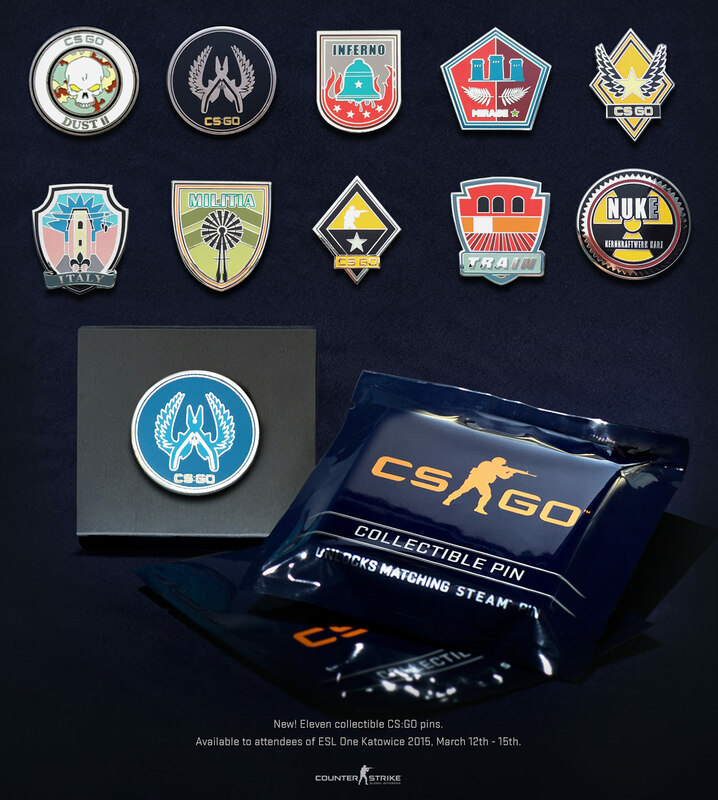 Attendees will have an opportunity to purchase collectible CS:GO pins, each of which come with a virtual version you can show off on your CS:GO profile and in the scoreboard. 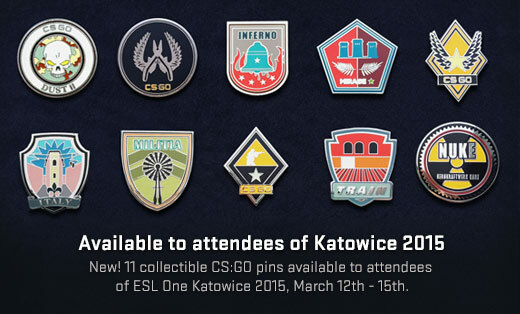 They will be available on-site at the Katowice event, so trade your pins with other attendees and collect all eleven!